The complete League of Angels II CG trailer is now available worldwide! First shown at Gamescom 2016 and on TV channels and media outlets across Europe, the beautiful cinematic became an instant hit with fans. Many fans have been curious about what went into the making of this trailer, read on to find out! 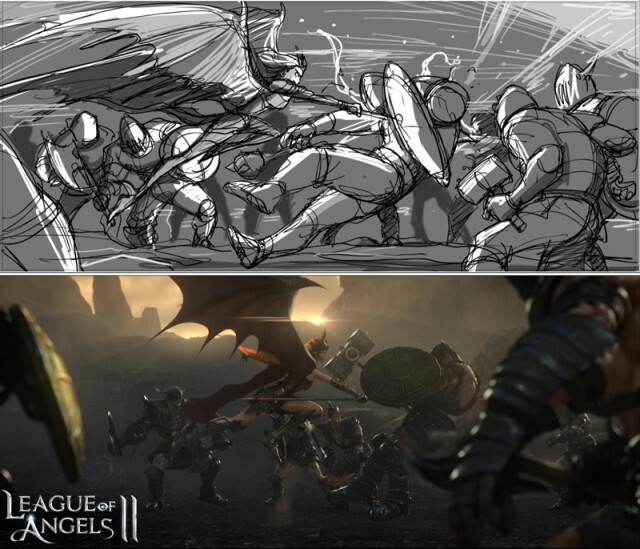 The production of the League of Angels II CG trailer was a huge undertaking by a veteran visual effects team. The 8-month long process included script writing and storyboarding, scene design, character design, modeling, animation, lighting and rendering, and finally special effects and music score. The culmination of all those efforts was a gorgeous piece of cinema that gives players a spectacular display of the grace and power of the Angels. 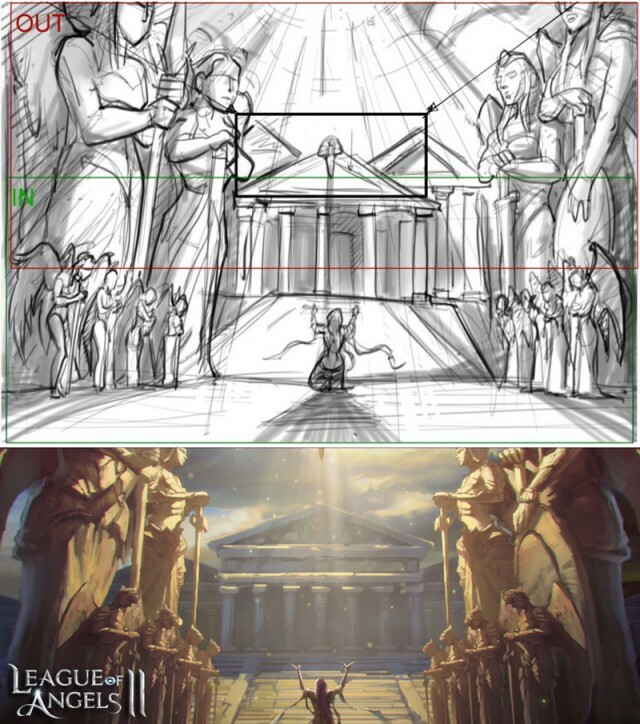 The rich and elaborate storyline of League of Angels II was the perfect backdrop for the cinematic. The visual effects team worked tirelessly to bring the epic struggle of the Angels to life on screen. The epic battle scenes comprised of over 1 million polygons, 4K cinema quality character mapping, and up to 1 billion particle effects. No expense was spared in the making of the LoA2 cinematic to ensure that it met, and surprassed, the expectations that comes with the League of Angels name. Full motion capturing was used to make the cinematic’s combat scenes feel as authentic and realistic as possible. Combined with an epic music score and movie-quality sound effects, audiences are presented with an immersive visual and audio experience that’s sure to be a treat for fans of the series. The cinematic takes place sometime after the disappearance of the Holy Relics that split the once mighty Angel Empire into three kingdoms and plunged the world of Sapphire into a great crisis. While Theresa, the Angel of Dragons, searches for the Holy Relics, she experiences a brief flashback that shows the ancient history of the Angels and how they came to Sapphire. Upon awakening, she discovers a horde of Orcs and an ominous cave that might have clues to the Relics. Theresa summons the leaders of the three Angel kingdoms to aid her, but can the Angels put aside their differences, recover their holy heirlooms, and save Sapphire? Check out the full cinematic now and find out for yourself! GTArcade promises to expand the epic saga of the League of Angels even further. Fans can expect the franchise to carry into more games, graphic novels, films, and other mediums. Play League of Angels II for free and see the story of the Angels unfold while creating a legacy of your own!